Vivid Racing has been changing the import seen for the past decade, with their extrodinary performance, styling, and culture of the auto enthusiast. Let them change the scene ones more, with the collaboration of ViS Racing. ViS Carbon Fiber Hoods are made from the finest carbon fiber available. Each hood is protected with a UV coating which allows the hood to hold its high gloss finish. All our carbon fiber hoods are Grade A and above. ViS Carbon Fiber Hoods have a tight carbon weave, rolled edges, and one piece undersiding. Hood pins are required. VIS Racing Sports, Inc. was established in 1996 and is based in the beautiful southern California. 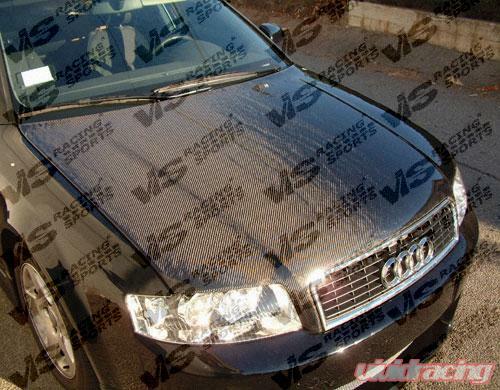 We have always been at the forefront of auto restyling products for imports,Domestics, trucks, SUV's, Euro and Exotic. We started the ultra aggressive style in Aero Kit, wide-body kits, JDM style kits, JDM conversions, spoilers and the ever-popular carbon fiber hoods & trunks. 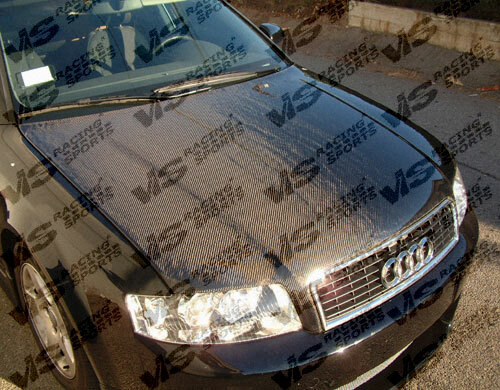 VIS is the first to set the industry standard for GRADE A quality Carbon Fiber Hood and trunk that many customers come to expect. These are just some of the trends we have brought into the States, and we are not stopping here. VIS is always working closely with some of the talented restyling experts to bring you the most up-to-date and never-been seen styles for the US market. We are also working with many companies in our industry for making OEM exclusive private label parts. Our main goal is to offer wide array of products to provide complete restyling; upgrade solutions to avid car enthusiasts. The exciting new product lines include Imports, Domestic car, Truck, SUV, European cars, Exotic cars and High End Dry Carbon Fiber body parts for Street & Racing applications. With the acquisition of Wings West product line (One of the few USA based polyurethane manufacturer), we are excited to offer high-quality, ultra-durable polyurethane aero kits that are tailor made for the US customers. VIS boasts the largest and the latest selection of restyling carbon fiber parts and aero kits in the industry. As a well-established supplier in US, we offer over 12,000 styling products for retail or wholesale trade. Our carbon fiber hoods currently has over 250 different styles and our carbon fiber product line spans over 4000-plus applications of trunks, hatches, fenders, roofs, doors, bumpers, lips, spoilers, exterior and interior accessories. Therefore, our inventory is ample and among the largest in the States. Our Products' superior quality has won wide acceptance from retail customers and wholesale customers all over the world. Our products' popularity is reaffirmed over and over again as the chosen choice of Hollywood and Game-playing world as can be seen in movies and games like "FAST and Furious", Walt Disney Pictures and the XBOX game "Forza Motorsport". Our warehouse has doubled in size to 82,000 sq. ft. to cover in house design, prototyping, product testing, production and installation. This expansion has been completed in the first half of the year 2011 and this making us one of the largest aero styling kit companies in USA. We strive to be the Home Deport of Aero Kits and Carbon fiber products, a one-stop shop for all your auto restyling needs.